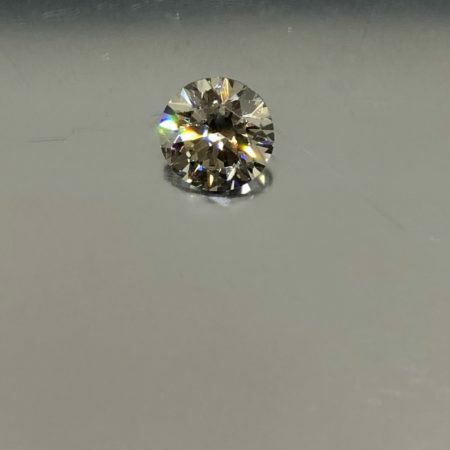 0.90 carat round brilliant cut cultivated diamond. 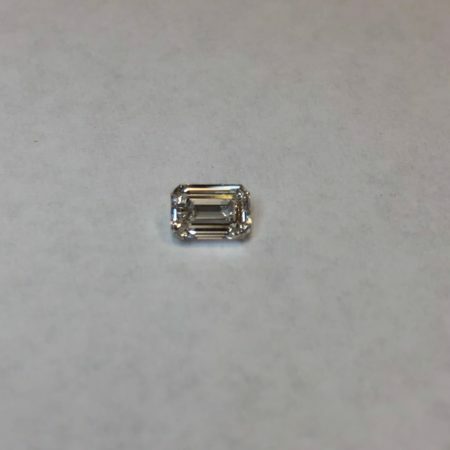 This diamond is H in color (top of Near Colorless range) and SI1 in clarity. 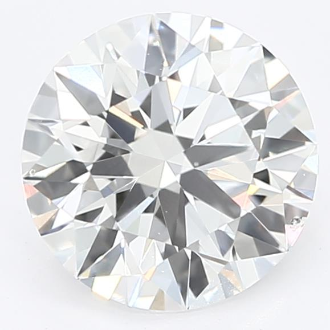 This means that to an expert grader, noticeable characteristics are somewhat easy to see, but only under 10x magnification. 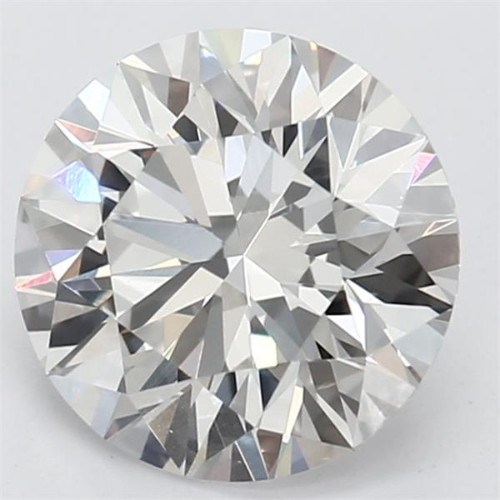 To the unaided eye, it would be difficult to notice these characteristics. 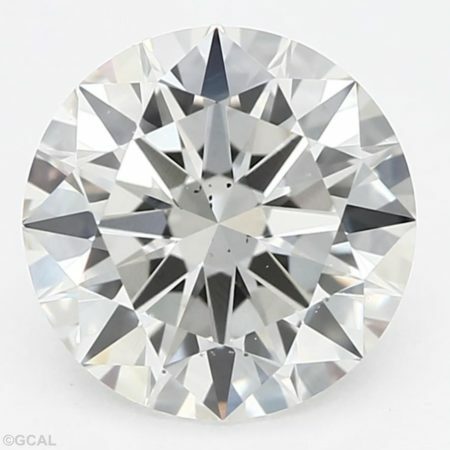 This diamond is independently certified by GCAL.